Cell phone plans and prices have changed drastically over the last few years. With the advancement of mobile technology and on-the-go internet, mobile service providers have been on their toes. These days it’s relatively easy to compare their rates and to assess who provides the best value for money. At times, they can be on par with each other and the determining factor about who to choose simply comes down to the quality of their customer service. With a post-paid package, the customer pays for the service after it has been utilised. The customer enters into an agreement with the mobile service provider and therefore pays for the package that was agreed to. When the customer utilises more than what was allotted, this incurs an extra charge which the customer must pay. A few years ago I had a post-paid cell phone plan and to be honest, it was very convenient. I could talk non-stop without worrying about credit running out. When the bill came in, I would pay for what I used. The only downside was that I could easily use up the allotted minutes and pay ridiculous overage charges. These post paid calling packages may be offered as a base plan which can then be customised with add-ons. Add-ons are used to create a plan that is more suitable for your needs. They usually consist of minutes, data and text messages. Post-paid add-ons can be compared using the variables in the previous section. With a pre-paid or no contract cell phone package or agreement, the customer pays for the service before it has been utilised. Therefore credit must be purchased for the customer to access mobile services. When the credit has been exhausted, the mobile services end. Therefore credit must be purchased again to continue the mobile services. To be honest, I use a pre-paid cell phone plan because it’s cheaper. I only use my phone for the odd call so it does not make sense for me to pay for a package of minutes. Also, since the mobile service providers changed their data rates, I stopped paying for data all together. Instead, I use wi-fi and take advantage of free wi-fi hot spots. Pre-paid calling plans for carriers are split between local calls and international calls, with the latter being more expensive. It is cheaper to make calls during the “low” period which is made up of evenings and weekends. For an even deeper analysis, compare these rates over mornings, evenings and weekends. In some cases, service providers try to fill the void left by their competition or offer a slightly better package. For example, if company A is offering a 100MB, 1 day plan for $5.00, company B would provide a 150MB, 1 day plan for $5.99. In cases like these, you should conduct your comparison and do a per MB or GB calculation. Take a look at this previous guide for more detailed tips on how to compare prepaid mobile data plans. If you want to really save on cell phone plans and prices and get the best value for money, you have to work hard. If you have a post-paid plan, the first step is to check your usage to see if you are using all of what was allotted to you. For post-paid plans, your task is to monitor your usage and make adjustments where necessary. Try cutting back on how much you use your minutes, data and texts. If this is not practical that you should take another approach. One tip is to consider upgrading your plan if you are consistently going over your limits. When I had a post-paid plan, my overages were costing me more than they plan that was one step above, so I upgraded. Funny enough, I was able to spend less by upgrading. Another option is to consider switching service providers. The only potential downside to this is that you may have to get a new number depending on where you live. Before you switch, inquire about contract penalties and, new contract deposits. I’ve noticed that some service providers mirror each other, and this can present some challenges. It means that if you switch from one to to the other, the “new” provider might raise their prices or change the service offered to match the other market players. And then you’re stuck again. Are you interested in getting the best cell phone plans and prices expenses? 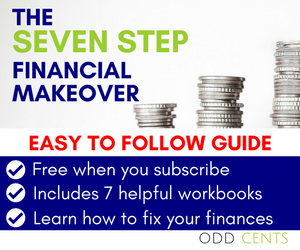 Subscribe to our website and we’ll show you how to keep more money in your pocket.